News Viper is developed to be a swiss army knife module for creating and managing news, articles, press releases and site content for your DNN portal. Using the rich AJAX interface to manage your articles with ease. Layout your articles with the Razor based templates, its so easy to customise with standard HTML. Arrange your articles into categories to displaying only the selected category or author to the public. Control when articles are publish and expire using the automated function to schedule future articles. Create news pages, articles, blogs and content using the easy to use and flexible module. Versioning of articles, with visual comparison and rollback. From the creators of Cart Viper and Event Management modules. Free life time upgrades included in original purchase price, never pay for an upgrade again! Our module uses Razor templates to render all the public views, so its simple to change the layout or add additionally C# code to create amazing content. Out of the box the module is responsive using Bootstrap 3. Give mobile users a first class experience without any extra work. 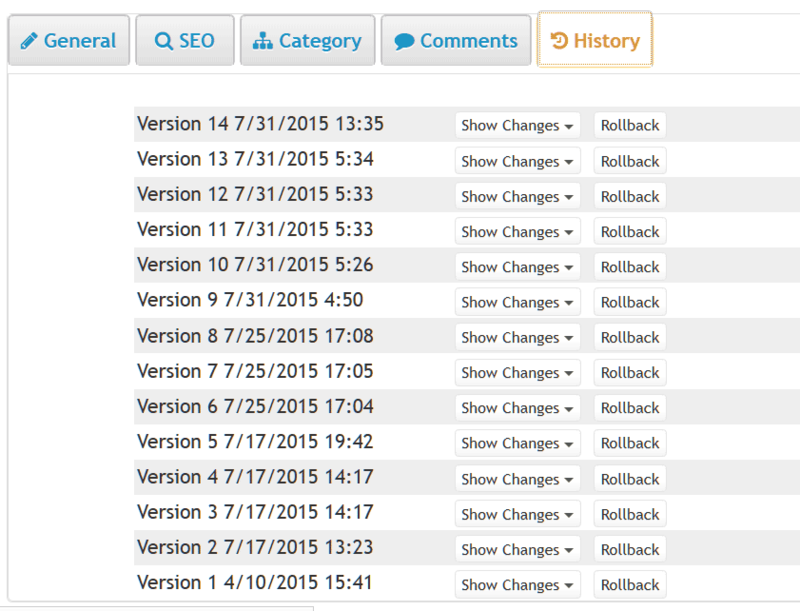 Advanced history and rollback function stores all previous versions of the article and allows you to visually compare and rollback to previous version. Never lose a change again! With built in support for AddThis just add your API key to allow your articles to be shared online. Don't like AddThis? Not a problem since we have templates just add your preferred social sharing code with ease. It is so easy to customize using the flexible template system. Optionally allow your visitors to leave ratings and comments about your article. Advanced profanity check and moderation feature for all comments. Create a community environment using the engaging features to interact with your visitors. Stop spam comments with built in support for Google Recaptha v2 and rating flood control.